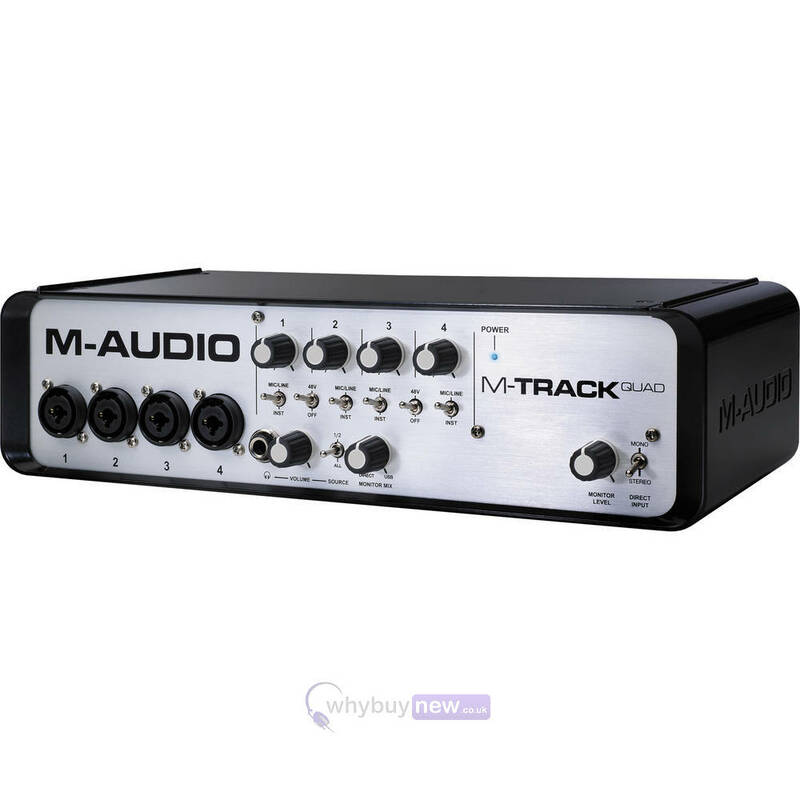 Here we have the great sounding M-Audio M-Track Quad Audio interface in B-stock condition. The B-Stock versions would have been on display at a training evening or trade exhibition only and will come boxed 'as new' with all accessories and a 1-year warranty. The M-Track Quad has four flexible inputs that can accommodate any source, from phantom-powered microphones to your favorite guitar. Plus, each input comes equipped with its own insert jack for integrating your favorite effects. 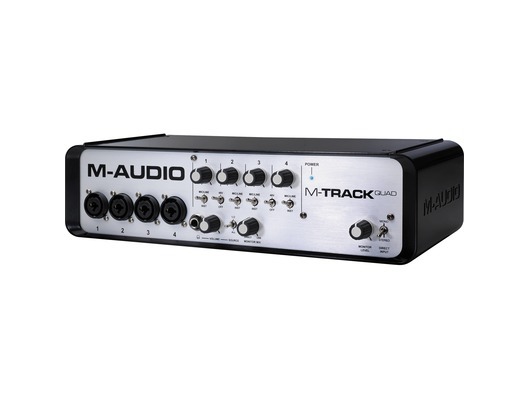 M-Track Quad provides zero-latency monitoring of the input signal for carefree recording. Four outputs deliver versatile playback options. The front panel also offers a headphone output with dedicated level control. In addition to outstanding audio performance, M-Track Quad also features MIDI in and out jacks. M-Track Quad connects to your computer via USB and also acts as a powered hub with three additional USB ports.